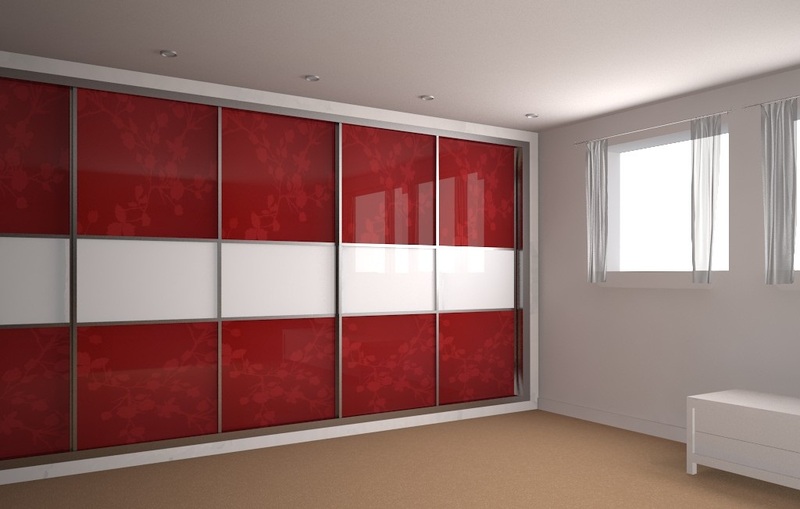 Sliding door is another style option of fitted wardrobes although on average only 30 percent of customers prefer sliding doors, to the hinged. 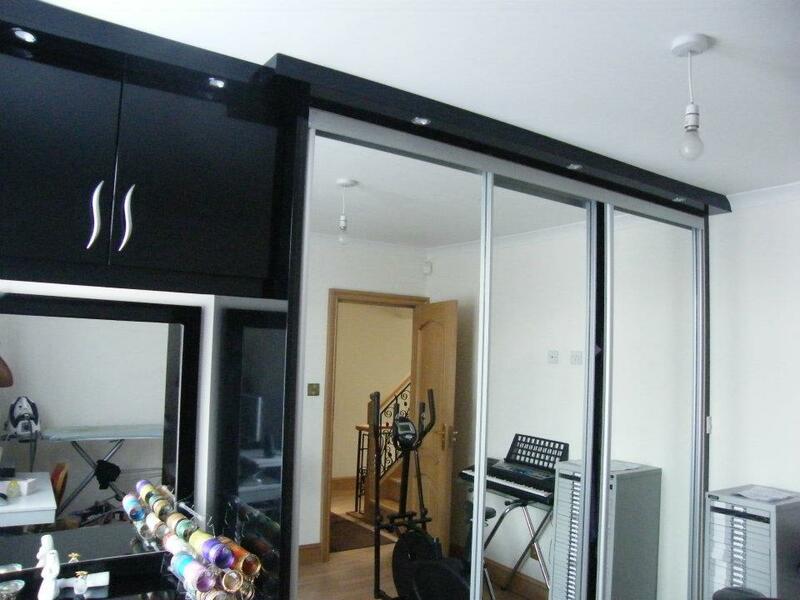 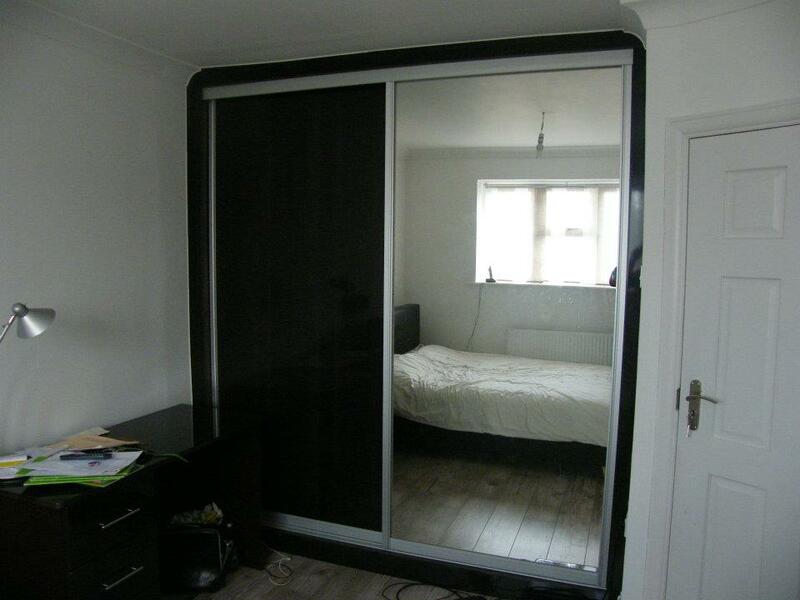 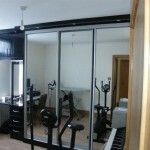 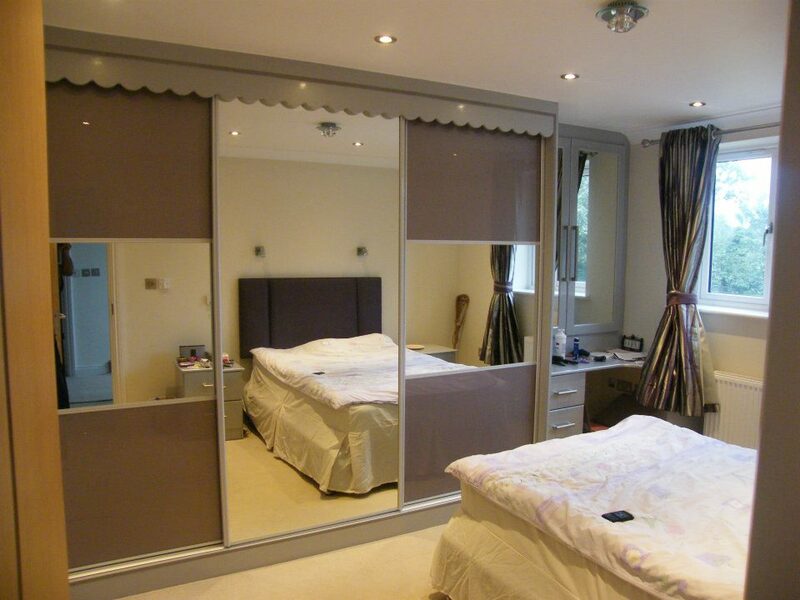 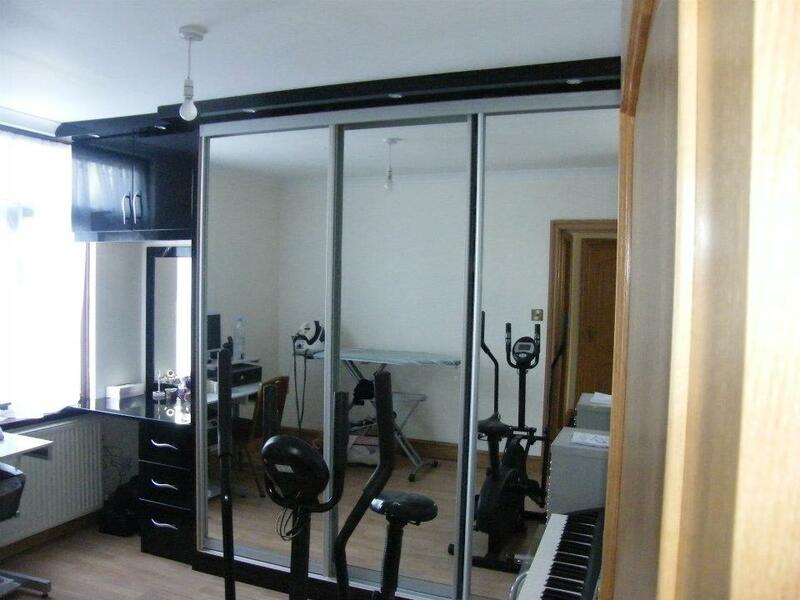 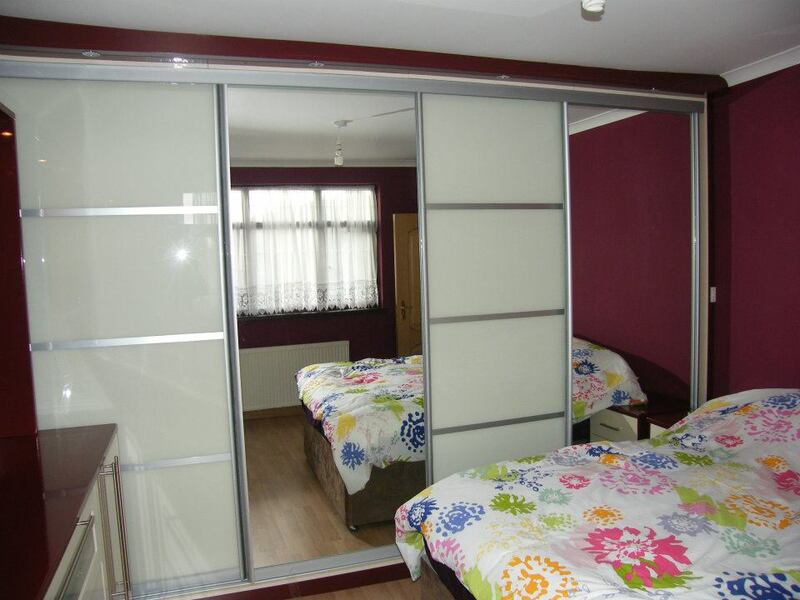 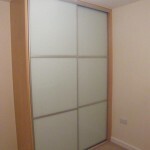 If your room is small then sliding doors are usually a much better option, because your do not have to worry about where the doors open onto. 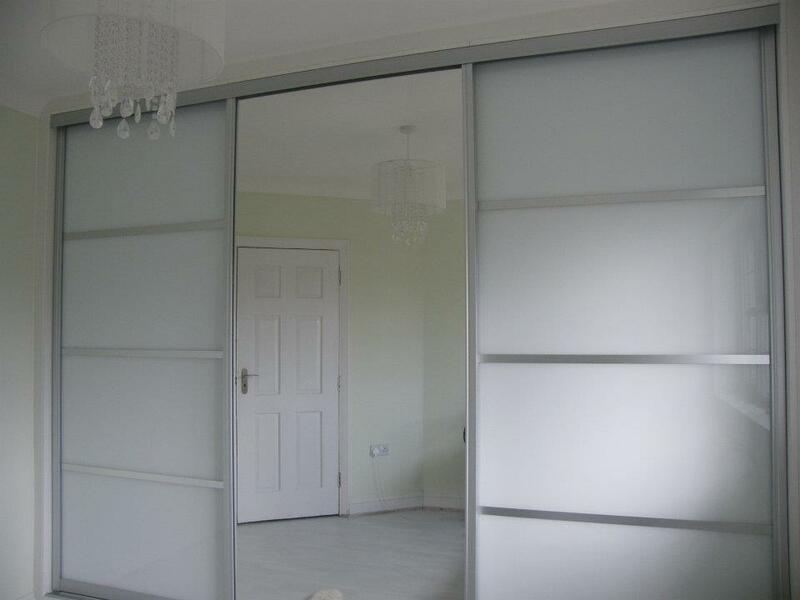 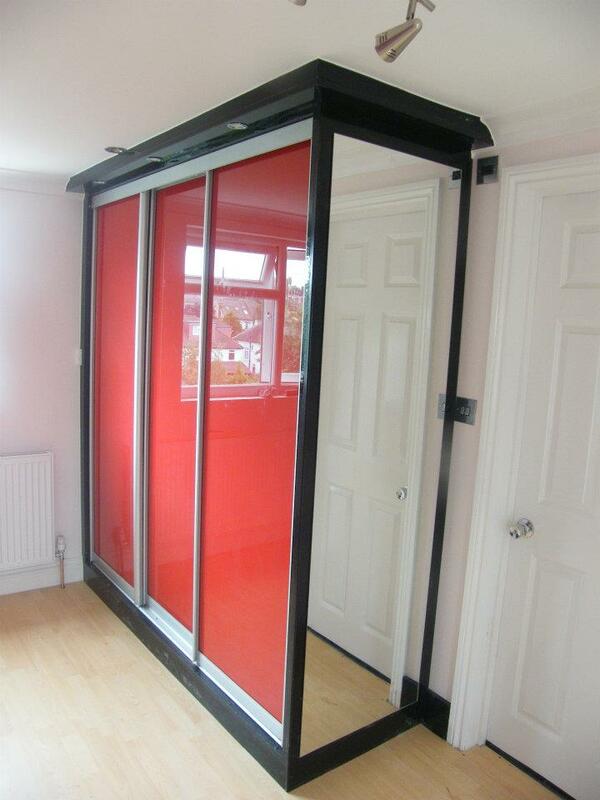 Again the doors are made to measure, so you can have any size in sliding doors up to a maximum of 1.2 Metre Width and 2.6 Metre Height. . 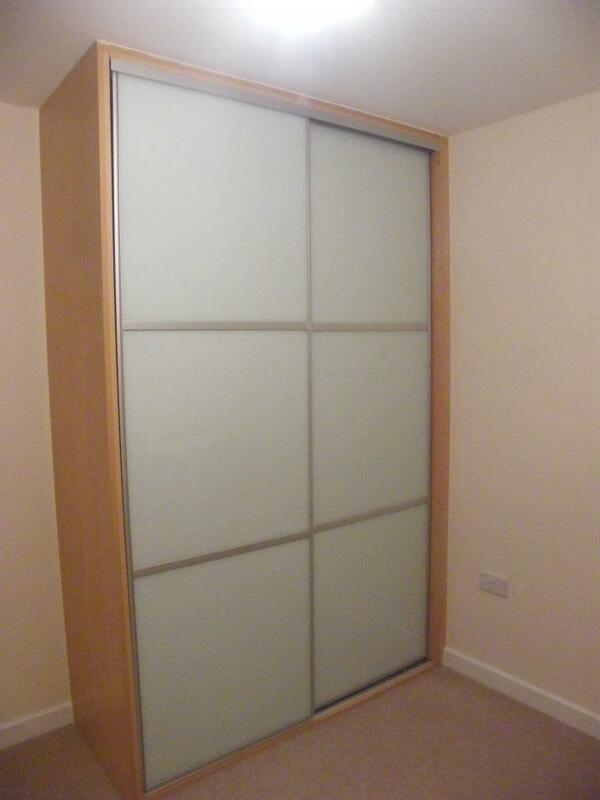 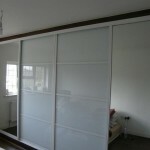 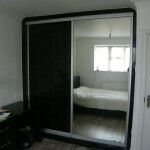 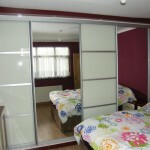 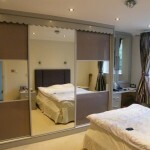 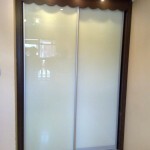 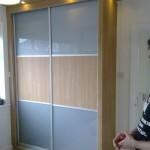 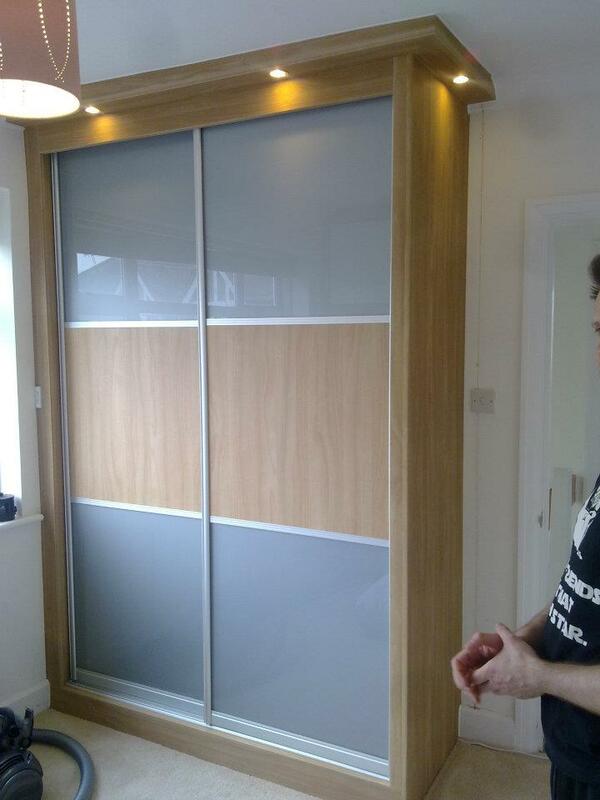 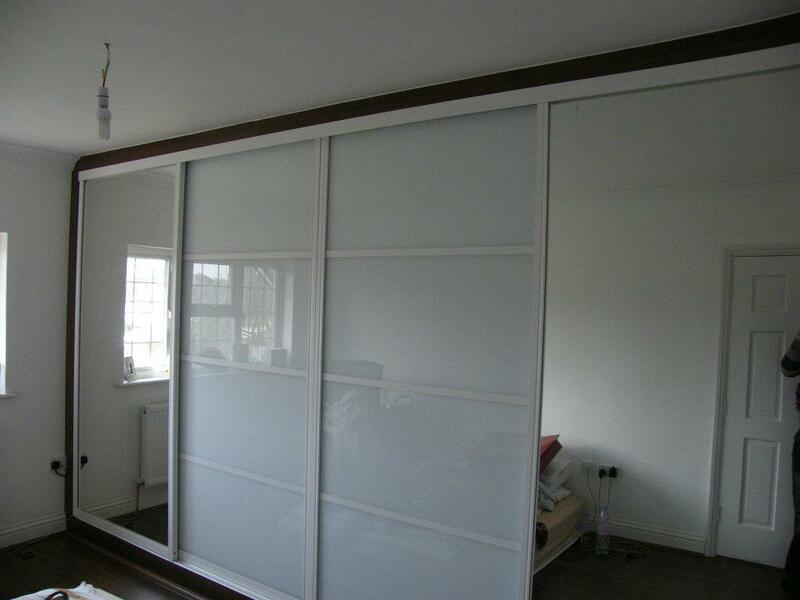 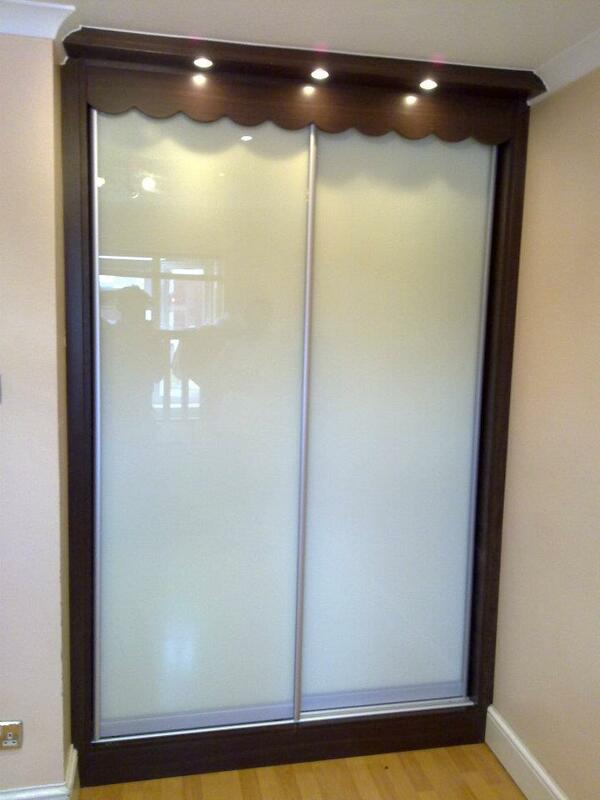 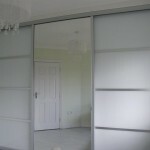 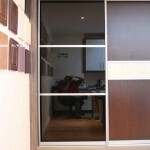 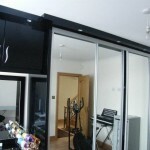 There are several options available from full length to Panels doors. 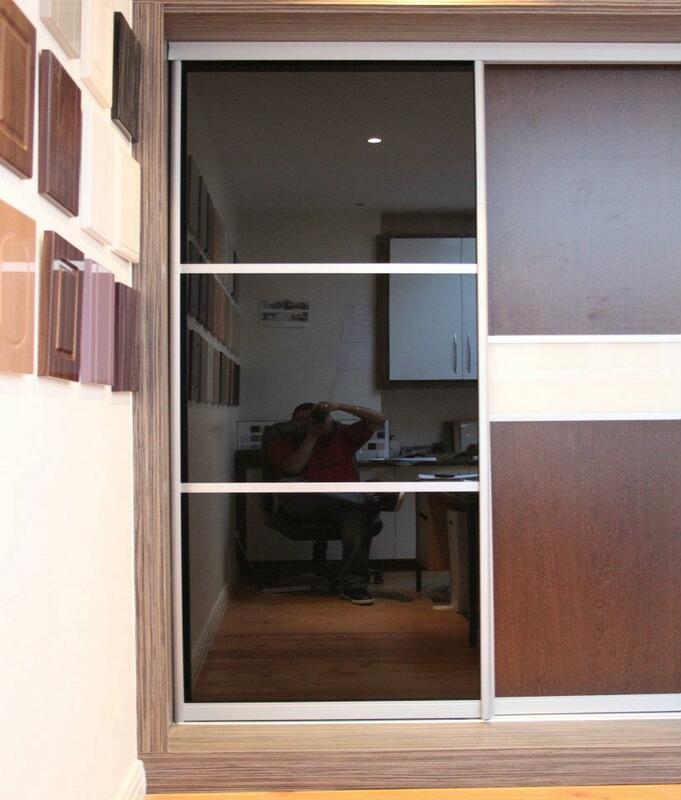 In most designs there will be 3 doors in one unit and customers generally prefer 1 mirror door in the centre with panel doors either side.